Board Game Night – First of 2016! For our first Board Game Night of 2016 – in our brand new space, we’re breaking with tradition and featuring three new games for our next meetup! 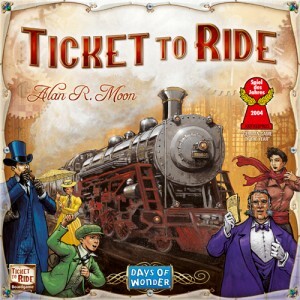 The three games we’ve selected are all Spiel de Jahres winners and are great gateway games for those interested in modern or european style board games. As they’ve each been previously featured on Geek & Sundry’s TableTop with Wil Wheaton, you can watch episodes in advance to see how the games are played and just how fun they are! Of course as usual, you can still come along with any board or card game of your own you want to play with others. This was written by seannicholls. Posted on Monday, January 25, 2016, at 10:05 am. Filed under Games. Tagged Alhambra, Board Games, Carcassone, TableTop, Ticket to ride. Bookmark the permalink. Follow comments here with the RSS feed. Post a comment or leave a trackback. 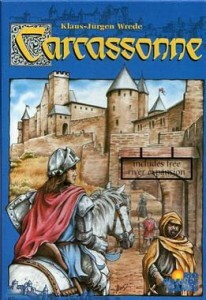 @TOG_Dublin Carcassonne and Ticket to Ride are two of my favs! Will try to make it there!